Curbside Recycling: The City has a curbside recycling program in place for plastic, cardboard, etc. If you are interested in obtaining these services please call 435-734-6639 for the Utility Billing Office. Our curbside recycling program is managed by Econo Waste. 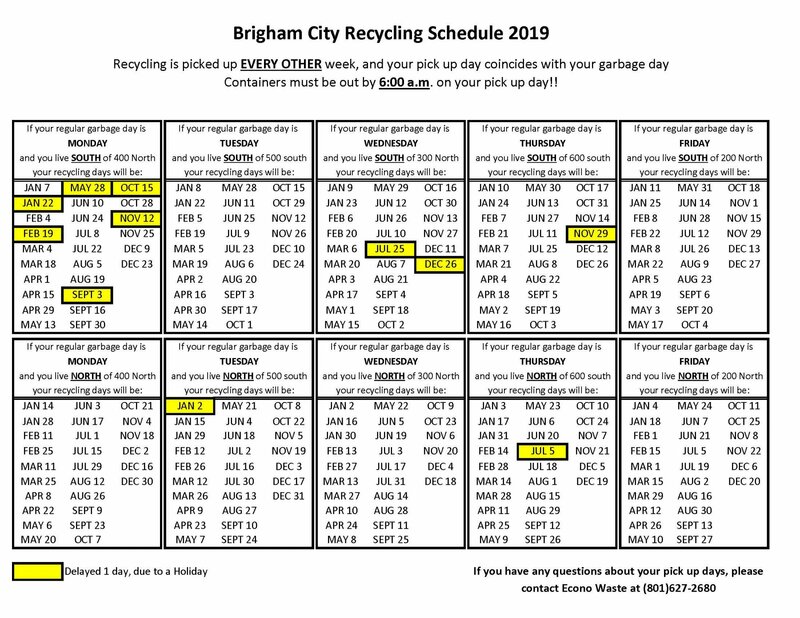 Questions or concerns regarding your curbside recycling should be directed to them by dialing 801-627-2680. You may also contact the Public Works Administrative Offices for general questions by dialing 435-734-6615. Recycling bins are located at 820 N. Watery Lane. Bins are available for cardboard and metal recycling (please see tables below for pricing of recycling). Hours of Operation for recycling, green waste and waste lumber is 7:00am to 7:00pm April through September and 8:00am to 6:00pm October through March. Please collapse any cardboard boxes or containers so the bins don't fill up so fast. Boxes should not be left on the ground around the bins.